His Eminence Apostolos Elder Metropolitan of Derkon addresses the Archon Family Reception. On Wednesday, July 4, 2018, His Eminence Apostolos Elder Metropolitan of Derkon addressed the Archon Family Reception which was held at the 44th Clergy-Laity Congress in Boston, MA. It was with great joy that I accepted the kind invitation to be with you at tonight’s reception, which you have lovingly organized to honor the Patriarchal Delegation to the 44thBiennial Clergy-Laity Congress of the Holy Archdiocese of America. I personally express to you my warm gratitude, and that of His Eminence Metropolitan Maximos of Selyvria. Following the second fall of Constantinople and the demise of the empire, the Ecumenical Patriarchate became a national, cultural and social ark of the Genos. It was not an emperor, but a Patriarch who would shoulder the cross and additional responsibility of the Ethnarchy. In this manner, the City never ceased to be the Queen of Cities, and still retains that title today in a new context—one that is more holy, and yet, more painful, and still characterized by sacrifice and the Cross that it bears. The Patriarch of Constantinople wore the imperial sakkosas a vestment, as well as the imperial crown that became a miter on his venerable head. He did not have a scepter, but rather, the imperial Patriarchal staff upon which all of the destitute Genos would come to rest. Archons were no longer in existence, but a new archonship was created around the Ethnarch-Patriarch—a new aristocracy of the Faith that humbly preserved and revealed the nobility of our Genos. Many of them would later reach high ranks in the Ottoman Empire and contribute invaluable services to the Genos and its Church, sometimes even by sacrificing their own lives. Dearly beloved—today’s Archons of the Venerable Ecumenical Throne—you yourselves were deemed worthy to become members of this new archonship and nobility of the Genos. Your education, your piety, your love, your philanthropy, your honorable social presence and progress, and your distinguished contributions to science, good crafts and technology, as well as to great and profound works of mutual beneficence, have distinguished you from the rest of the multitude. This is what the Mother Church has been informed of, seen and honored. Consequently, our Patriarch has proudly bestowed upon you the status of archons, endowing you with a sacred ecclesiastical service and conferring upon you great and honorable titles. These designations remind us of the past glory of the Genos, and distinguish you as continuers of our tradition and history, successors of great men whose names adorned the history of Romiosini with gold letters! You are, therefore, together with the Archons of the Society of “Panagia Pammakaristos,” the honorable offikialioi. In other words, as title holders of the Genos and the Mother Church, you deserve to be addressed as “Esteemed!” And, it is, indeed, a great honor and responsibility that the Holy Apostolic and Ecumenical Throne has conferred upon you the members of its glorious eparchy, the Holy Archdiocese of America. It is the highest honor for someone to reside under the protective shadow of the double-headed eagle of the Mother Church, as well as a unique blessing and great safety—to be organizational and administrative, ontological I would say, united with the pious fount of the Genos. The martyric Phanar, the seat of Constantinople, New Rome, always remains the saving Ark of all that is sacred and holy in Orthodoxy and Hellenism. All those who have naively and ungratefully severed themselves from it inherited the breadth of dismal temptations, ecclesiastical problems, and nationalistic issues, and continue to do so. Indeed, separation from the body of the Mother Church has proved to be a disastrous, unique act of foolishness. Disagreement and defection are not pleasing to God. Unity that is not only formal, canonical and administrative, but foremost spiritual and heartfelt, is pleasing to God. This brings His blessing and the richness of the gifts of the Holy Spirit! From its beginning, the Archdiocese of America has been recognized as a creation of the Mother Church of Constantinople—“bone of its bones and flesh of its flesh!” It is not merely one of its eparchies, but an offspring and piece of its soul, one that richly tastes the Church’s motherly love, care and compassion! When the Archbishop of America stands publically in the presence of authorities of the United States or its President, they see behind the Archbishop an ancient yet living Spiritual Institution; one that holds not only primacy of honor, but also the responsibility for 300 million faithful, who in return analogously consider, adhere to and honor this aforementioned institution! 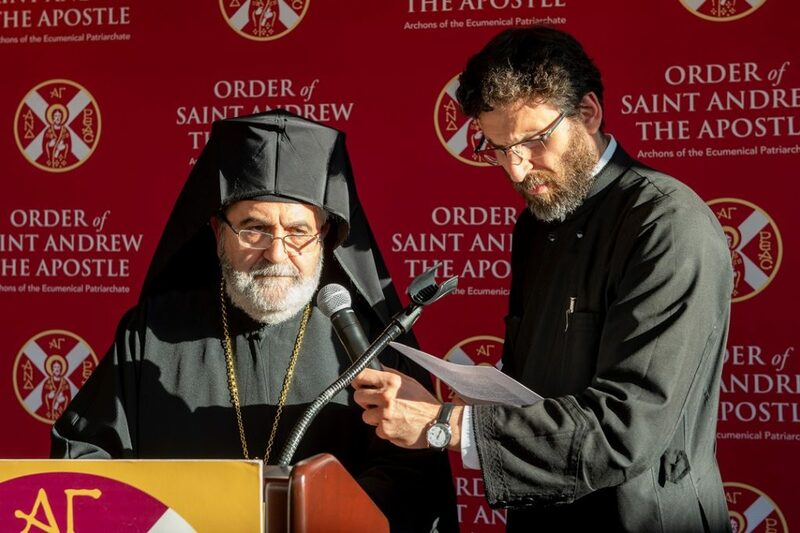 It is extremely sad that imprudent and disrespectful voices are heard that call for a distancing from the martyric Mother Church, such as that which recently transpired during the Graduation Ceremony of Hellenic College and Holy Cross Greek Orthodox School of Theology. Even more disheartening is the fact that the disrespectful and blasphemous mouth was not immediately called to good order by the powers that bear the primary ecclesiastical responsibility here. Dear esteemed President of the Archons, it is precisely at this point that you were the first to hasten with your public statement to denounce the disrespectable words uttered against the Mother Church and its martyric guardians, as well as to provide a bright spot of noble dedication to the Ecumenical Patriarchate. For this reason, you and the entire fine body of the Order of St. Andrew the Apostle have our gratitude and appreciation, as well as my personal praise and that of the Mother Church. Later on, there were other statements made by brothers in Christ, particularly His Eminence Archbishop Demetrios of America, denouncing these disrespectable words. 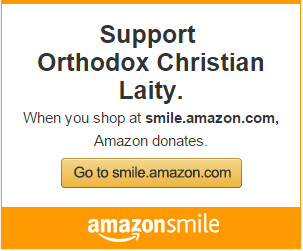 And so, when diligently adorning your Archonship with philanthropic initiatives and good works, I ask that you always cultivate love for others, and support our common crucified Mother Church of Constantinople in every God-pleasing and relevant manner, as well as the Holy Archdiocese of America. Conveying to you the wholehearted Patriarchal blessings of His All-Holiness, as well as his infinite love for you, I raise my glass as a toast and wish you all that is good, praiseworthy, God-pleasing and beneficial for spiritual salvation! Amen! Next Article Elpidophoros sees his future in GOA. Or not? I’m a bit puzzled by the Metropolitan’s remarks to the Archons. My Greek dictionary defines “Genos” as race. If this is correct then the role of the Ecumenical Patriarch apparently is to protect and preserve the “race” which I assume consists of only those members of Greek ancestry. If this is true, how then does this position comply with St. Paul’s dictum in Galatians 3:28 that “there is neither Jew nor Greek, there is neither slave nor free, there is neither male nor female for you are all one in Christ Jesus” ? Is it possible that the faithful have been mislead in believing that this church is catholic and apostolic welcoming all regardless of their race, gender and their ethnic and national background? The GOA, as well as other Orthodox jurisdictions, are not Catholic. Of course, we recite the creed stating that we are Catholic but in reality the GOA is a Greek club for Greek people. Terms like homogenia and the Greek American community used to describe the Church, reflect the Greek club attitude of the GOA. AB Dimitrios stated in his recent opening remarks at the Clergy-Laty Congress that the church is not a club. Yet, in practice there is greater concern with preserving the Greek language and Hellenism than there is to living and promoting Christ. I am willing to bet that more money is allocated toward Greek language than to missions and evangelism in the recent national budget. The identity created through training of young people is not with Christ but with being Greek. Jesus clearly stated,”you cannot serve 2 masters, because you will love one and hate the other.” St Paul stated, “we preach Christ a stumbling block to the Jew and foolishness to the Greek.” The GOA has lost its “first love” Jesus. Until the first love is recaptured, transparency and accountability will be empty words. 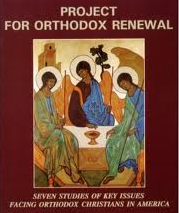 Change may occur in practice, but the essence of Orthodoxy will be missing–Jesus. While admittedly ambiguous, the word “Genos” appears frequently in the hymns of the Church (in Greek, that is) in the phrase “Genos ton Christianon” or “race of Christians.” However, the translation “people of common origin” is the technical meaning. Thus, it is essentially synonymous with the Greek word “ethnos” often translated as “nation.” Ethnos, of course, is used biblically in reference to the “Holy Nation” of the Church, the New Israel. Even in the Ottoman period, the Church of Constantinople was, in our terms today, “multi-ethnic” (Greeks, Bulgars, Slavs, Romanians, etc.). And while the “nobility” of the Rum Millet which the Ottomans considered the “nation” of all Christians under Constantinople was dominated by what we call today ethnic Greeks, it was not uniformly “Greek” (although certainly Greek-speaking). It may be noted that those of Greek ancestry in Turkey generally consider themselves “Romaioi” (i.e., “Romans”) distinct from citizens of modern Greece. Thus Genos is not a word exclusively used for what we call ethnic identity, but the ambiguity remains. Again the “Fanariotes”, raised and living in the shadow of real despotism, came to America to humiliate and scold us for trying to exercise our right to live and act as free citizens and Christians, without the constrains of the old oligarchic tactics of Byzantium. Sad, indeed! Attempts to disguise “Genos” in a cloak of “ambiguity” simply highlights how objectionable it is. As used today in the US by the leadership of the Greek Orthodox Archdiocese, the visiting colonial overseers from Istanbul, and The National Herald, there is no ambiguity whatever in their use of “Genos”. No one using that racist term is referring to “hymns of the Church” or to the “Bulgars, Slavs and Romanians” living in the “Queen City” during the Ottoman period. When addressing the Archons, the Elder Metropolitan of Derkon spoke of “Hellenism”, “Ethnarchy” and the “Ethnarch-Patriarch”. No one in that audience thought he was referring to Bulgars, Slavs or Romanians. The Uniform Parish Regulations of the Archdiocese state that among its ministries every Parish should endeavor to have at least a “.. Greek Language/Cultural School”. Nothing in the UPR speaks of Bulgarian, Romanian, Slavic or any other language and culture. When Archdiocesan leaders use the term “ethno-religious identity” there is no ambiguity. They unambiguously mean: “Greek”. When is the last time you saw our Archbishop walking in the front line of a Bulgarian or Romanian Independence Day parade? Or at a White House reception celebrating Bastile Day? Since he spoke in Boston on the 4th of July, our American National Holiday celebrating our Independence, it would have been polite of him to make some reference to the occasion. Instead, he took a swipe at the recipient of an Honorary Degree from HC/HC who dared to call for Autocephaly and at the Archbishop who did not “immediately call to order that disrespectful and blasphemous mouth”. Apparently freedom of speech, thought and conscience is not respected from those visiting us from the Queen City. Not much ambiguity there, either.